An important step to curb sugar cravings is to lower your intake of highly processed sugars. If you are a sweet tooth like me, this challenge may seem painful to you, and to others, it will seem like a breeze. It really just depends on how addicted you actually are. Each of the approaches I list below isn’t rocket science, but I speak from experience when I say the habit of lowering your intake of sugar can be tough to begin and continue because it actually involves many different habits. Sometimes drinking water can help stop cravings. Often what we perceive as a food craving is really thirst. When we are tired, we often use sugar for energy to counteract the exhaustion. A piece of fruit should satisfy a sweet foods craving and is much healthier. Combined with some low-fat yogurt, it is even more effective. Instead, move your body! Whatever movement you enjoy will help reduce tension, boost your energy and decrease your need for a sugar lift. We all know that processed or refined sugar has a fattening impact that exceeds its calorie content. To succeed at losing weight and keeping it off long-term, you should take your time to understand how carbohydrates work and what eating lots of sweets and other carbs mean for your energy levels and weight. Firstly, I apologize in advance – reading this week’s challenge may take you a little bit longer. But I feel the better your knowledge about sugar, the easier it will be for you to develop healthier habits! The bad reputation that carbohydrates have generally comes from those found in highly processed sugars and starch. At the opposite end of the scale, in fact, there are carbs in broccoli – and no one would argue that this is bad for you! The key to choosing ‘good’ carbohydrates is to know that they can be found in a wide range of food, and there are many different types of sugar. The more complex carbohydrates are the better kind for a slow, sustained energy release. These give you energy over a period of time and provide other nutrition to the body. To maintain stability within your body and your blood sugar levels, you may opt to eat complex carbohydrates or ‘good’ carbs. These enter the bloodstream slowly and steadily, which means a stable blood sugar level and a steady flow of energy. 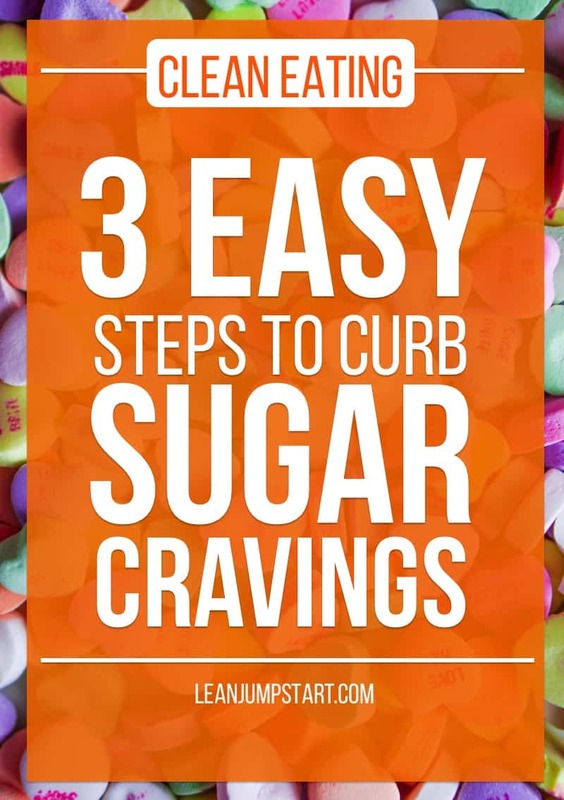 That, in turn, ensures you feel full for longer and you don’t experience cravings that can arise when you have sharp highs and lows in sugar levels. These healthy foods will also provide a range of vitamins, minerals, and fiber. You could say you’re getting more nutritional ‘bang for your buck’ when you eat these complex carbohydrates. When you start each meal with these types of complex carbohydrate foods, you’ll find that you experience considerably fewer cravings for fatty, sweet food throughout the rest of the meal. The next step down from complex carbohydrates are the simpler, monosaccharide fruit sugars (fructose). While these carbs on their own are absorbed much more rapidly, the ‘package’ that they come in – fruit – provides fiber which stabilizes their release into the bloodstream. Added to that, high fiber fruits are nutritious choices for the body as well. If you are a sweet tooth then you will love this 1-ingredient frozen banana ice cream. The ‘bad’ carbs are the simple kind (such as in processed sugar). These carbohydrates release energy quickly, increasing your insulin levels (the ‘fat’ hormone) and leaving you hungry again shortly after taking in the first lot of food. A typical example of bad carbs is sugar-sweetened beverages. Soft drinks especially are one of the most serious offenders to weight gain while they provide no nutritional benefits. Their liquid form makes it easy to ingest a ton of empty calories very quickly. Being less filling than the solid forms – you continue to feel hungry after drinking them, despite their high caloric value. Additionally, highly refined starches behave like sugar in your body and are to be avoided as often as possible. Examples are white flour, enriched flour or cornstarch, white rice or pasta. Artificial sweeteners are unhealthy and they will do little to alter your desire for sweets! Your brain reacts to it the same way it reacts to refined sugar. While they are an excellent tool for getting through the withdrawal period, they don’t offer a long-term solution. If you are a disciplined person, then the quicker approach would be the “cold turkey“ method: Give up on sugar totally! How can you possibly do this? I will show you soon. You don’t need junk food! Your body doesn’t need sugar, period! While “the white poison” delivers a temporary high, it always makes you feel worse afterward. One way to jumpstart your sugar-free journey is to re-frame the way you think about it. Treat it like an illicit drug, a dark force to be avoided. There is no doubt that stopping your soft drink consumption will have a big impact on successfully lowering your daily sugar consumption. Don’t drink any soft drinks? Then skip this challenge and check the link at the bottom of this page to my advanced 4-week approach. Let’s take a look at your soft drink consumption. You want to become the person who reduces your overall sugar consumption by eliminating soft drinks from your healthy diet. Use the situations as a trigger when you usually consume soft drinks. Ban ALL soft drinks from your home without exception. Make your four walls a soft drink free zone. Develop the routine of substituting soft drinks with club soda and a slice of lemon. If this change is too drastic, you can make a mixture of one part 100 percent fruit juice with three parts club soda. Each day, dilute the mixture with a little more club soda while cutting down the fruit juice. Your aim should be that one day you can easily drink your soda water with just a splash of lime or lemon. 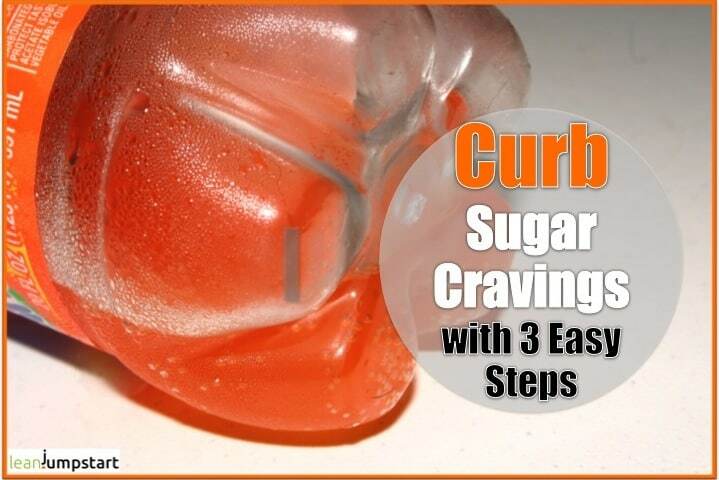 After some weeks – as your body begins to crave less sugar – it will get easier. Once you are in the habit of drinking your soda water without any fruit juice, reward yourself with a special gift. My suggestion: Invest in a beautiful, handy water carafe, with a cooling system. It makes drinking water a real delight and reminds you to stick to this healthy habit. 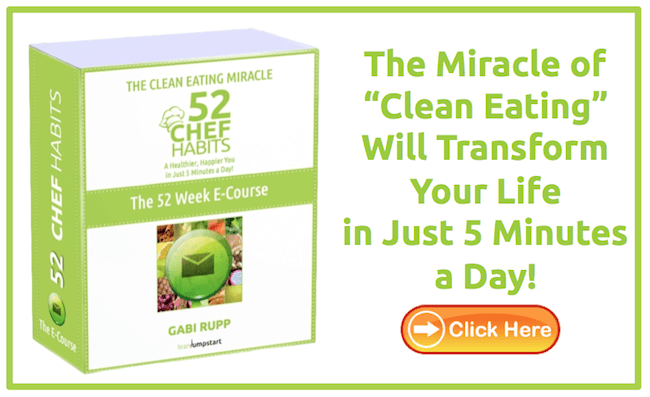 If you love the idea of approaching a clean eating lifestyle step by step to shed your last couple of pounds and/or a maintain a healthy body you should consider to join my 52 Chef Habits E-Course. I would love to know how this week’s challenge is going. Was it hard for you to ban soft drinks from your home? Also, tell me how you are rewarding yourself. I know that many of you don’t drink soft drinks at all but have instead other sugar related issues. That’s why I have set up a 4-week action plan for you. If you want – and I sincerely hope you do – take your detox to the next level with the advanced action plan. It will help you to stop eating this white poison altogether: How to beat sugar addiction. I used to have at least an 8 oz. diet dr. pepper daily. I have curbed that to one no more than two per week. Yay!!!!! When the craving hits, I have a cup of hot herbal tea (usually green tea or yerba mate) using a little honey to sweeten, or I grab a piece of fresh fruit. Thanks for your tips. They are really helpful. Congratulations – what an achievement! Hot herbal teas like your green tea or mate tea are healthy “Dr. pepper” replacements when cravings occur. Here is another tip for you: When drinking Dr. Pepper “as special treat” only 1-2 per week please pay attention to drink it only AFTER a healthy meal. That way the processed sugar is not released so quickly in your blood stream and can’t produce additional cravings for even more sugary drinks or snacks.